Delivery time: 4 workdays after received patient's mould. Warranty: 3 years for Fixed prosthetics, 2 years for removable prosthetics. give me a feedback when you are interesting!! 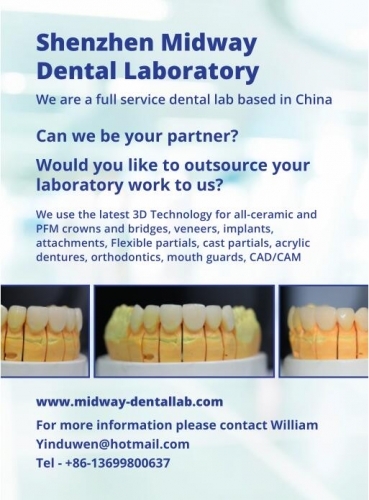 Shenzhen Midway Dental Laboratory Co., Ltd.